In the past week, Apple discontinued the legacy iPad 2, which had for over two years been a “cheaper” alternative to the full priced $499 iPad Air. 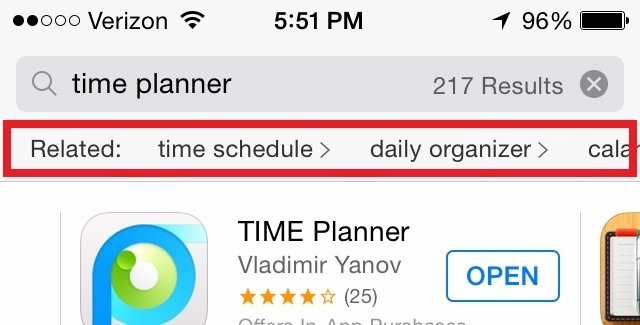 Yesterday, 9to5Mac reported that some users running iOS 7.1 saw “related searches” when users searched the app store. In other news, social tycoon Mark Zuckerberg announced yesterday that his company would purchase virtual-reality maker Occulus for approximately $2 Billion. This news comes just a few weeks after the company announced a $21 Billion acquisition of the popular smartphone app WhatsApp. The question, remains – how much money does Facebook really have? This entry was posted in Apple, iOS, Tech Industry and tagged 7.1, Acquisition, App Store, Facebook, iOS, iPad 2, Occulus. Bookmark the permalink.